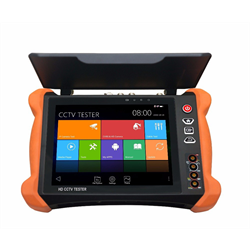 The X9-ADH is an IP and analog camera tester that is designed to help install and maintain IP and analog cameras. It features a 8-inch touchscreen display with a 2048 x 1536 resolution for displaying network and analog cameras. 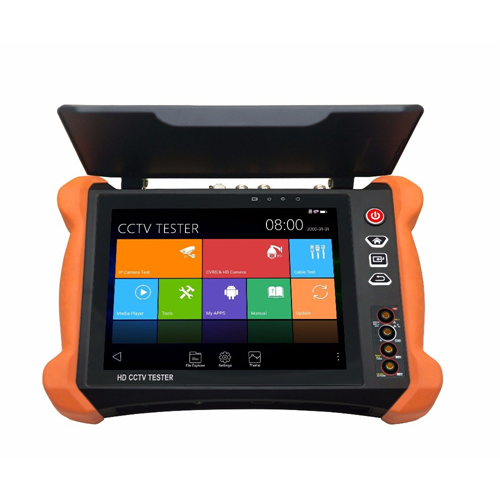 It can carry out testing for 8MP TVI, 8MP CVI, 5MP AHD & SDI/EX-SDI cameras as well as can carry out an RJ45 cable TDR test. It can perform a CVBS loop test where the tester sends and receives a colour bar generator signal to check BNC cables. Includes an 8GB SD memory card.